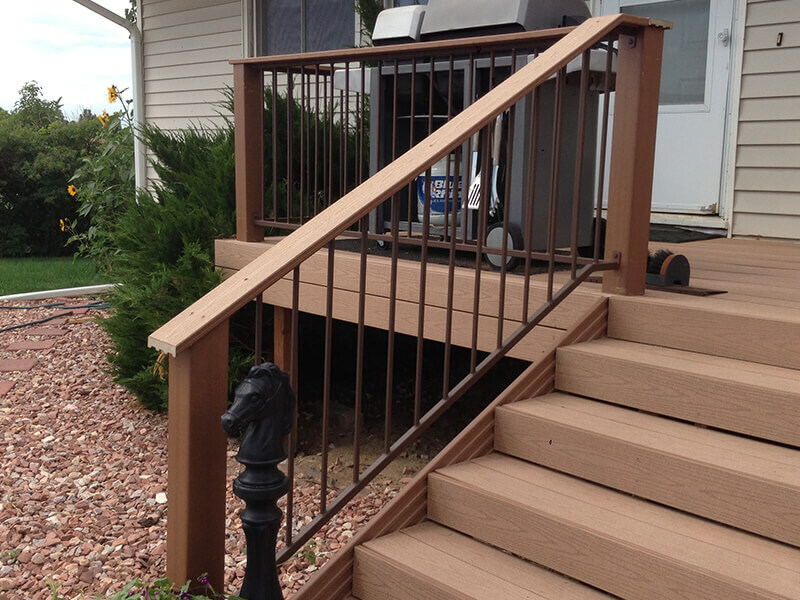 There are many building materials that we can use for our Fort Collins decks. 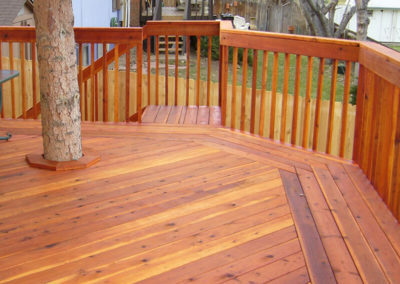 With all of our decks, we first start out with building the framework out of treated lumber. 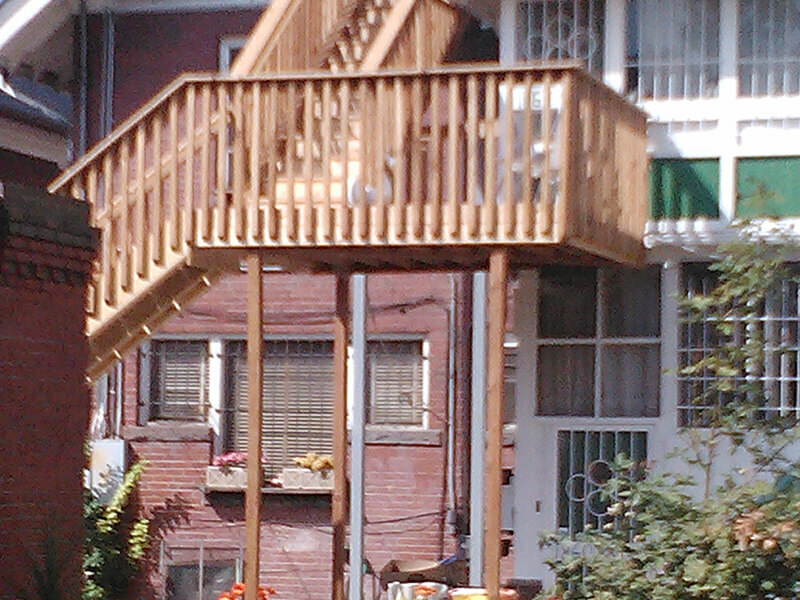 Using treated lumber for the framework is essential for the life of the deck. 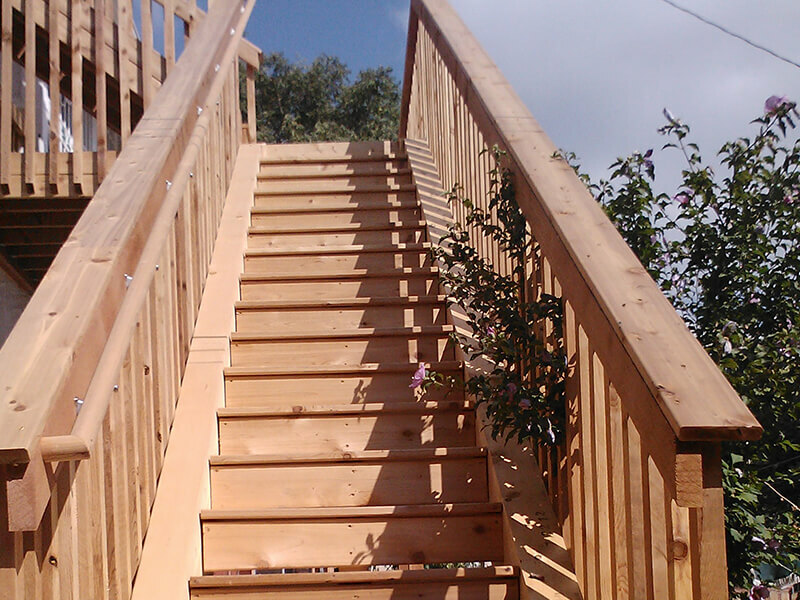 Treated lumber is designed to be extremely resistant to decay and last a very long time. 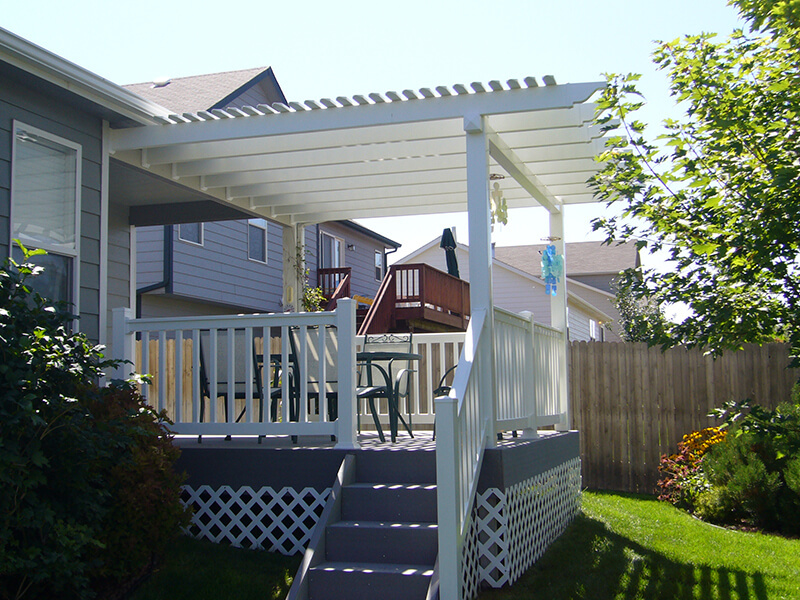 The decking options that we can put on top of that framework seem to be limitless. 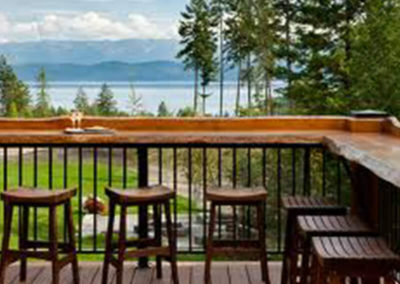 I will address some of the popular decking material options. 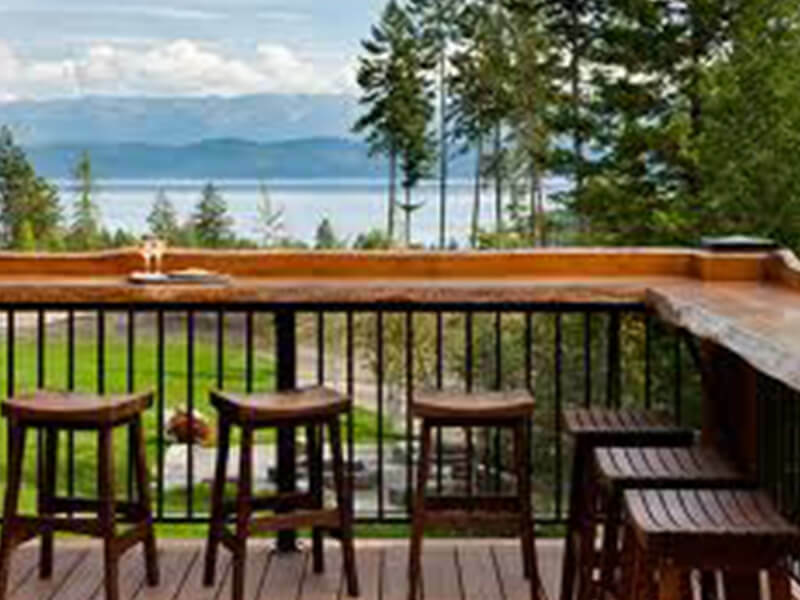 Many people ask me about the benefits of using treated decking and railing. I bluntly have to tell them that there are no benefits. It does not hold up well in our dry climate. It will warp, splinter and crack so severely that it will be an embarrassment. It may be the cheapest option but it is far from a good option. 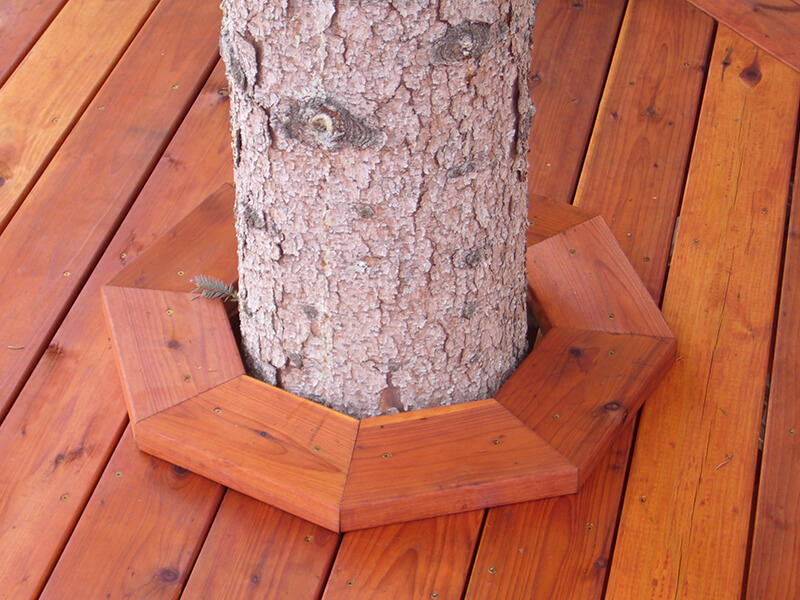 Both Cedar and Redwood hold up well in our climate as long as they are properly maintained. 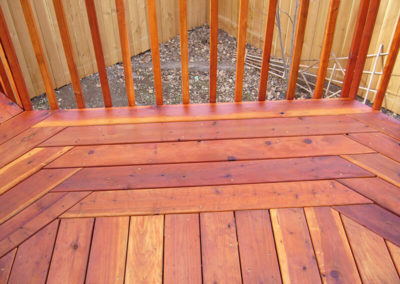 Both kinds of wood are resistant to decay and insect damage. 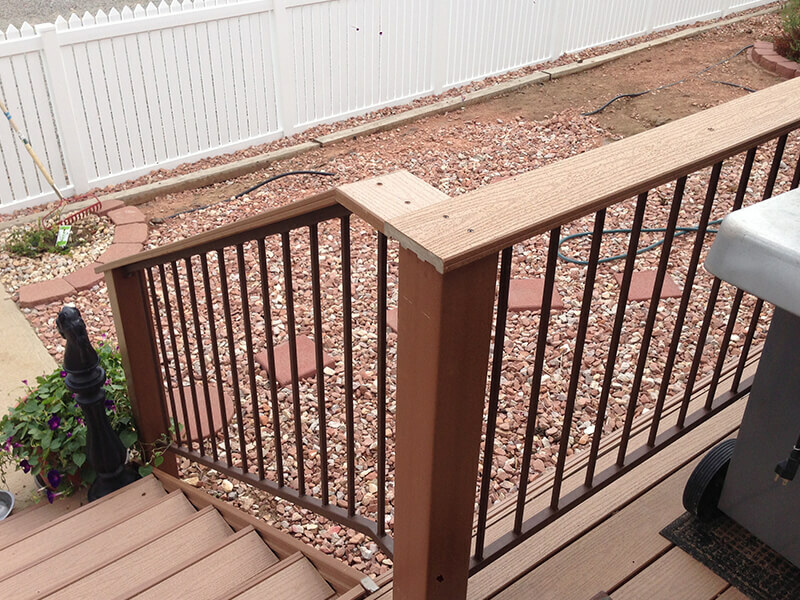 These materials also don’t warp and crack like treated decking. On our wood deck projects, we use a fastening system that eliminates the need for unsightly screws through the deck board. 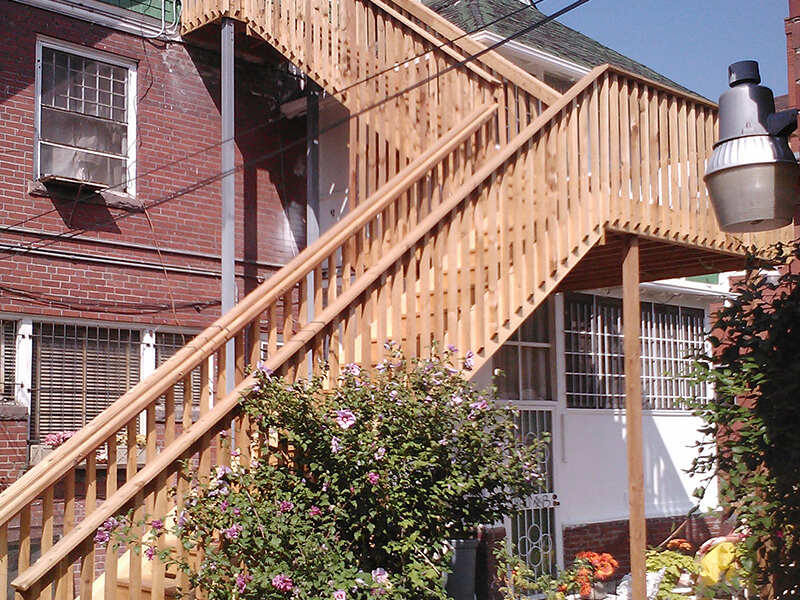 This is one more way for us to provide you with a clean, professional looking project. 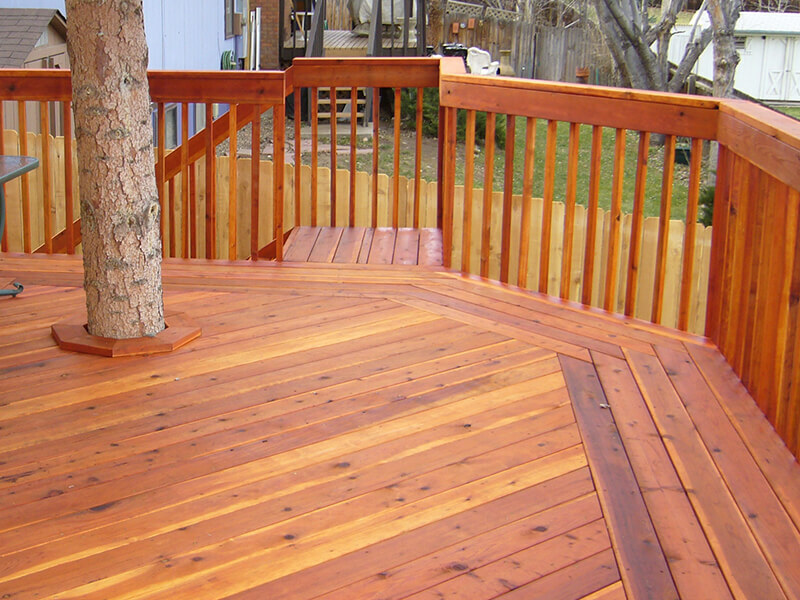 If you want your wood deck to hold up then you will need to invest in a high-quality sealant. 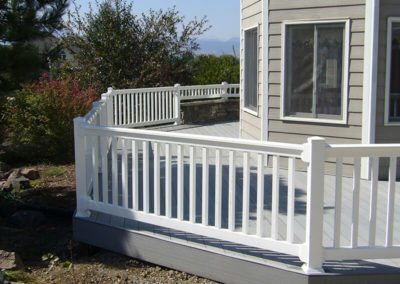 The manufacturers of composite decking products are numerous. There are also several different grades and color patterns to choose from. I’m not a dealer for any particular product but I highly recommend Evergrain or TimberTech. I have experience outstanding results with these manufacturers. It’s important to stay away from low-quality decking. 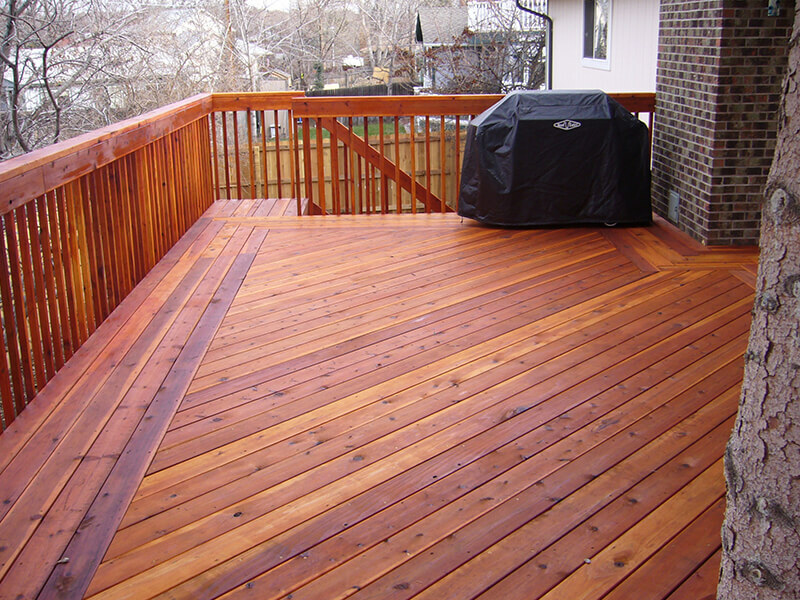 Poor quality deck boards are quite porous which means that dirt, grease, and grime can get into the deck board but never get out. 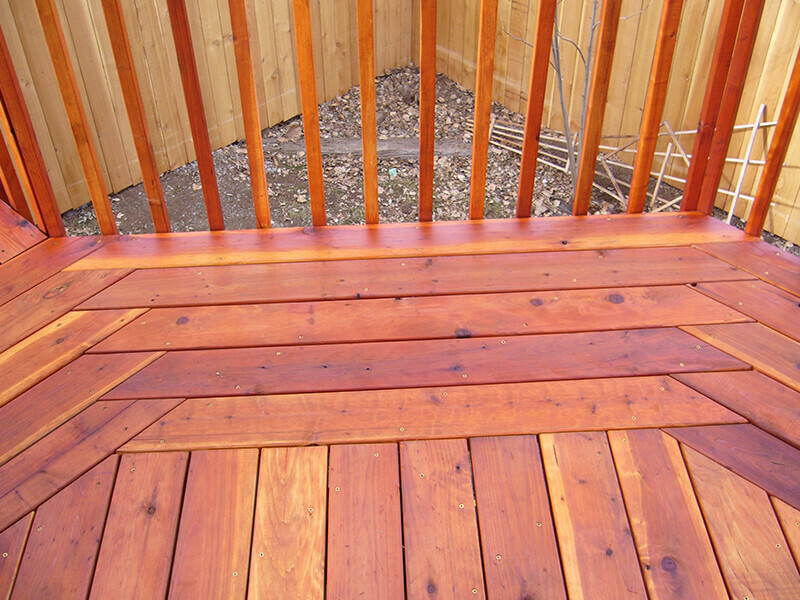 This leaves you with a stained, dirty looking deck. 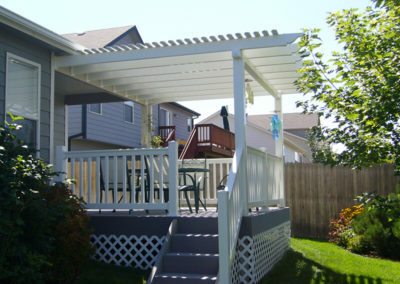 I only install composite deck boards that have a protective cap on the exterior of the board. 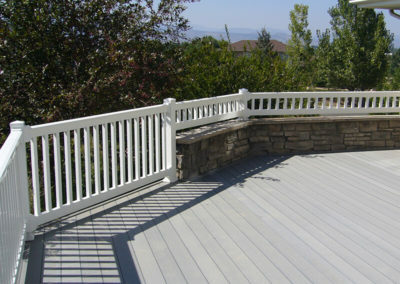 This protective cap helps protect the deck from scratching, fading and staining. As will all of our decking, we install the deck boards with manufacturer approved hidden fasteners. If a company uses fasteners that aren’t approved by the manufacturer, the warranty is void. We never want to put our customers in a compromised position. With the approved hidden fastener system your deck will have a clean, professional look that will make you the envy of your guests. 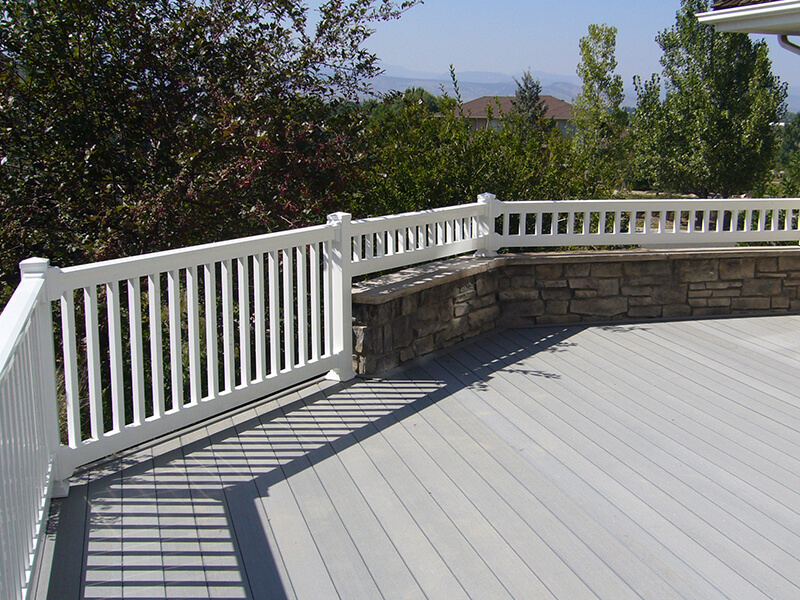 If you live in the Northern Colorado area and have a deck that needs restoring or dream of adding a deck to your home, please click the button below to get your free deck quote today.